Interactive Metronome improves cognitive abilities by using innovative neuro-sensory and neuro-motor exercises targeted to improve the brain's ability to repair and remodel itself through a process called neuroplasticity. Neuroplasticity, also known as cortical re-mapping, involves the molding and growing of neurons by means of experience. Precise, intense and repetitive experience drives this change. Simply spoken, neuroplasticity means the brain can be changed! IM impacts the neuronal pathways within the brain. The IM experiences that drive change are motor actions paired with precise cognitive feedback of the accuracy of those moter actions within time and space. This remarkably fine tuned feedback system strengthens neuronal connections, impacts the addition or deletion of connections, and can stimulate the growth of new neuronal cells and connections. 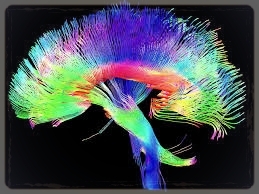 These changes in neuronal networks within the brain and the brains connections to the body can profoundly alter sensory processing including visual, auditory, tactile, proprioceptive and vestibular processes. Improved sensory processing leads to improved mental functioning. Recent research suggests that all areas of the brain are plastic (can be changed) at any age. The changes can be to both the brain's physical structure as well as it's foundational organization. Our brain is the organ of moving, thinking, feeling and behaving. When the brain works efficiently, we work efficiently. How does improved processing impact lives? Focus We specifically work 3 areas of focus: basic focus, staying focused through distractions and returning to focus after a distraction. IM is known as the focus program. The majority of students at IM Focused begin training with the goal of improving focus. Most see gains in multiple areas. Most common gains reported by parents include improved focus, initiative, social participation, coordination, emotional regulation, reading and sleeping. Emotional Regulation Students who react excessively to seemingly minor challenges often calm significantly with IM training. Meltdowns become less frequent and less intense, sometimes nearly disappearing. The student who is ‘addicted to electronics’ may now be able to turn off their computer when asked. Stubborn behavior, often mislabeled as willful defiance, fades as the flexibility pathways are exercised and built. Students begin to shift more easily, resulting in a happier demeanor. Academic Performance Many families report improved reading and math with IM training. Homework may be completed in half the time. Grades improve, student begin to self initiate their homework, and papers are turned in, finally. Research shows students gain an average of one grade level in both reading and math in the 20 sessions of IM. Does your child spend too much time doing homework in the evenings? IM can help. Students often step out of their comfort zone and try new activities! Physical Skills Students gain in both fine and gross motor skills with IM training. The muscles connected with speech improve in speed and accuracy resulting in improved verbal fluency. Students who do not engage in back and forth conversations often begin talking to others, allowing for friendships to form. Students try new activities; learn to ride bikes, tie shoes, improved handwriting, and approach challenging behaviors with more confidence. She/He may begin group sports for the first time after training, or move from average performance in their team sport to one of the top athletes. Improved confidence due to better body in space awareness is a favorite gain of many parents. Internal Joy My personal favorite gain is when the student begins humming quietly to themselves, expressing that internal joy and contentment that our disconnected students so often do not experience. If you can find pure joy within yourself, you can experience joy in life! Students begin to thrive rather than just survive in this world. Lives are changed!